This great looking polished gold cigar cutter with self sharpening blades is perfect for cutting cigars up to a 56 ring gauge. 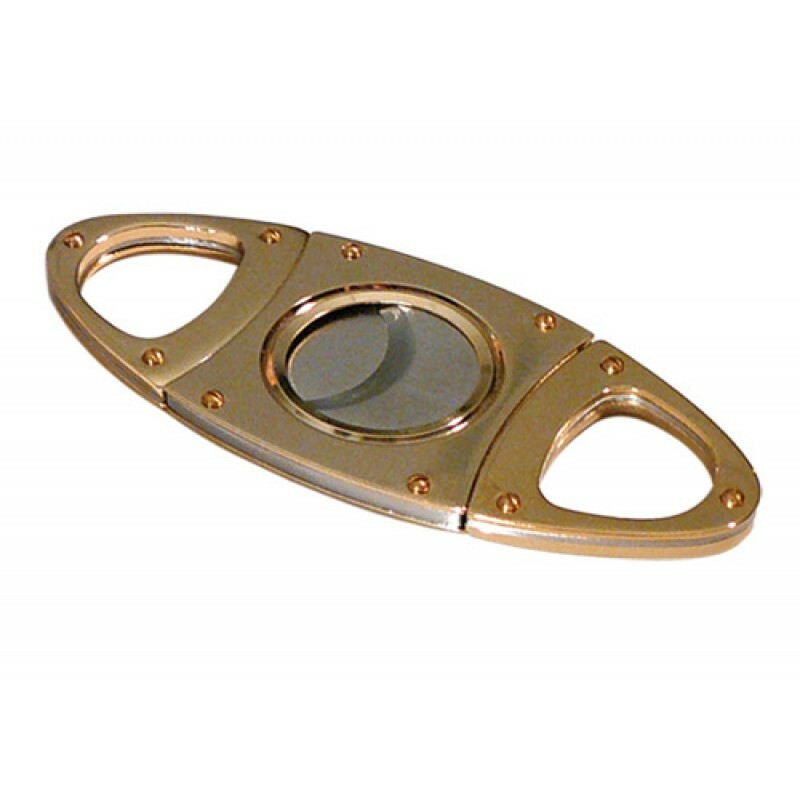 This gorgeous cutter is accented with a beautiful stainless steel inlay on its outer rim. The surface of the cutter is finished off with gold rivet style screws. 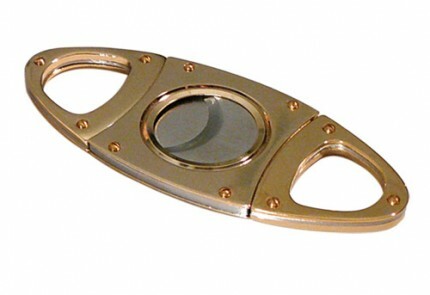 Find designer style cutters in cigar retail shops like this for $29.95!